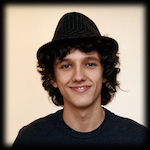 Filippo Valsorda is an Italian developer and Cloudflare Systems Engineer. He’s the author and maintainer of the filippo.io/Heartbleed test, and he has experience in applied cryptography implementation and exploitation. He’s also a Open Source contributor and has done research on Bitcoin cryptography flaws and implementation. He’s currently based in Milan.